The Tidel Bulk Coin Dispenser is designed for retail organizations that have a need to dispense coins in high volume, bulk format, using a secure and auditable process. The Bulk Coin Dispenser can dispense any combination of coins in preset amounts for start-of-shift till preparation with just the touch of a button. The system can also dispense any quantity of coins as needed, or it can break a note into a variety of coins for quick change making. Dispensing coins and accessing the coin hoppers is completely auditable and managed by individual user PIN. The Bulk Coin Dispenser supports 6 or 8 coin hoppers, with each hopper capable of dispensing up to 8 coins per second. The coins are dispensed into individual cups for easy handling. 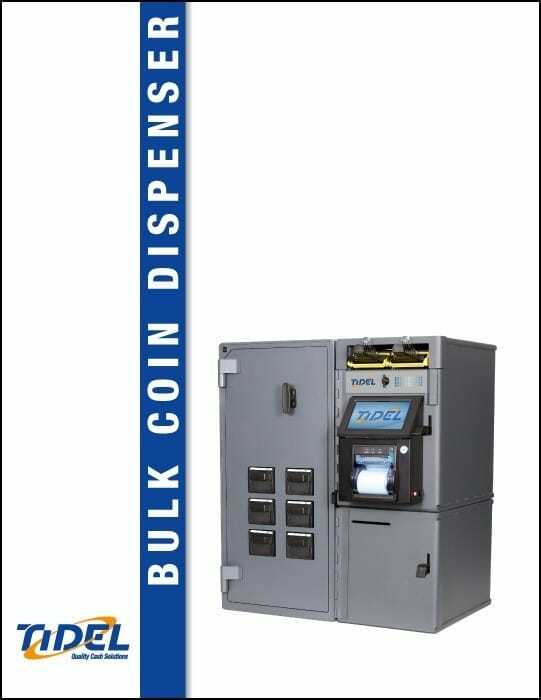 Interested in the Bulk Coin Dispenser?